Opposition candidate Felix Tshisekedi has won DR Congo’s presidential election, electoral officials say. The announcement sparked accusations of an “electoral coup” from runner-up Martin Fayulu. It is an accusation Mr Tshisekedi’s team denies. 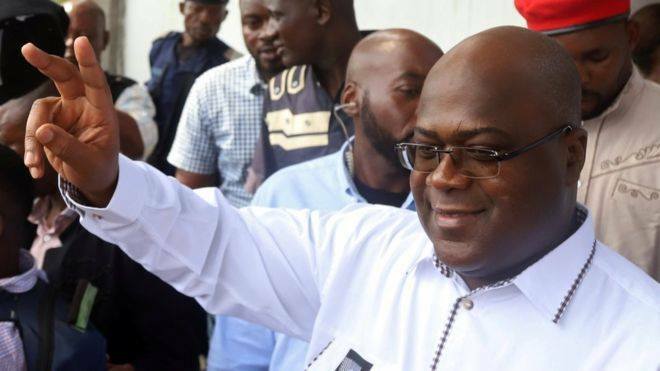 In the early hours of Thursday the head of DR Congo’s National Electoral Commission (Ceni), Corneille Nangaa, said Mr Tshisekedi had received 38.5% of the vote in the 30 December election and had been “provisionally declared the elected president”. A spokesman for Mr Shadary, who had been Mr Kabila’s hand-picked candidate and was expected to win, accepted the defeat, saying “the Congolese people have chosen and democracy has triumphed”. Mr Fayulu’s supporters say this backs their suspicion Mr Tshisekedi has cut a power-sharing deal with Mr Kabila. Mr Tshisekedi’s spokesman, Louis d’Or Ngalamulume, said there was “never any deal”. The BBC’s Africa editor, Fergal Keane, says Mr Tshisekedi is seen by many as the opposition candidate least objectionable to President Kabila and that it is perhaps significant that neither Mr Kabila nor his party have so far voiced any objection to the result. Mr Fayulu, a former oil tycoon, said the results had “nothing to do with the truth”. 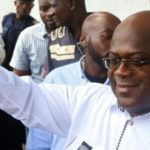 He said the electoral commission and ruling party had made up the figures to give Mr Tshisekedi – their “protégé” – victory. The influential Catholic Church, which posted 40,000 observers to monitor the election, issued a statement on Thursday saying the result given by the electoral commission did not correspond with its own findings. The statement mentions no-one by name and urges all parties to observe their civic duty and refrain from violence. Our correspondent, Fergal Keane, says the Church may now be publicly doubting the results but it will be very wary of any public demonstrations. Former colonial power Belgium has also expressed doubts about the result.